Perfect for holidays and casual wear. These gorgeous plimsolls are the newest addition to the extensive Rocket Dog womens footwear collection. 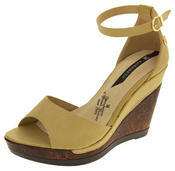 They have a canvas upper with a pretty lace up design and a lovely synthetic moulded padded insole and a fabric lining. They are the perfect casual shoes for this summer!